The guides were extremely knowledgeable and respectful and they did an excellent job preparing the food! Additionally, Colin played a mean guitar! The trip was better than I could have imagined! It was relaxing and laid-back. Also, it was nice to have the option of paddling a kayak or ducky or paddle board. 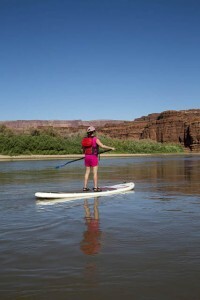 Our Westwater Canyon trip starts with flatwater perfect for paddling in inflatable kayaks and stand up paddle boarding. 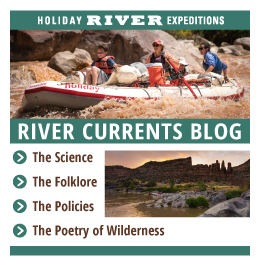 Following a relaxing float you will get to experience a long train of rapids with the highlights being Skull Rapid, Sock-It To Me, and Funnel Rapid. 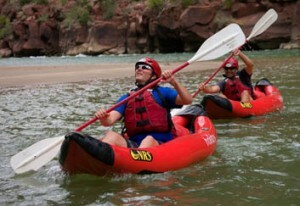 Join us on Westwater trip, and experience the beauty of the Colorado River for yourself.